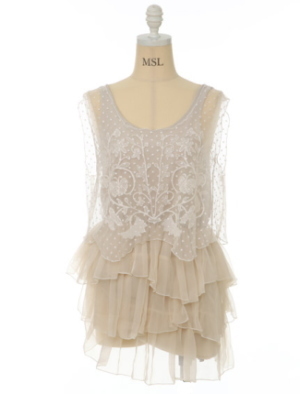 I must admit that I have a soft spot for anything that comes with embroideries and lace tops or dresses. The reason might be pieces with embroideries or laces actually look elegant and expensive!? The design of this dotted embroidery frilled one-piece is very unique and modern, creating a Haute Couture image. In my personal opinion, the brand, Snidel always have some nice, unique design of embroidered one-piece that never fails to capture the heart. Pre-ordering is necessary for this dress. 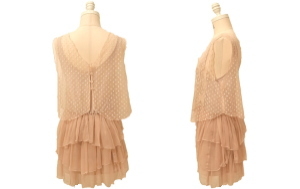 Contact us for further information about this dress.